Nothing recognizes a fantasy league winner like a Lombardi-esk trophy! 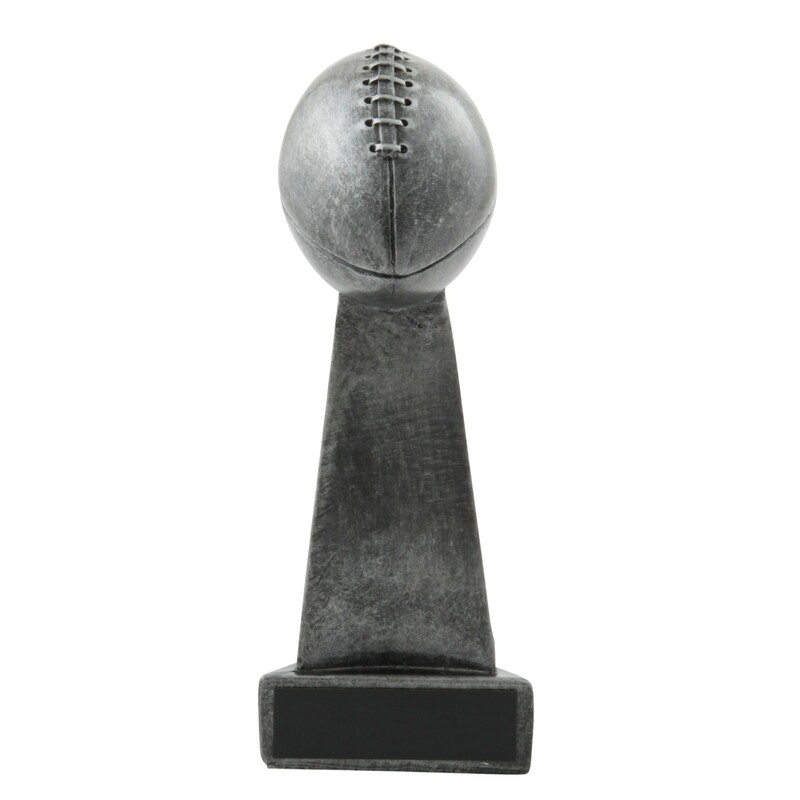 The Small Replica Fantasy Football Championship Trophy features an antiqued silver football perched atop a pillar. 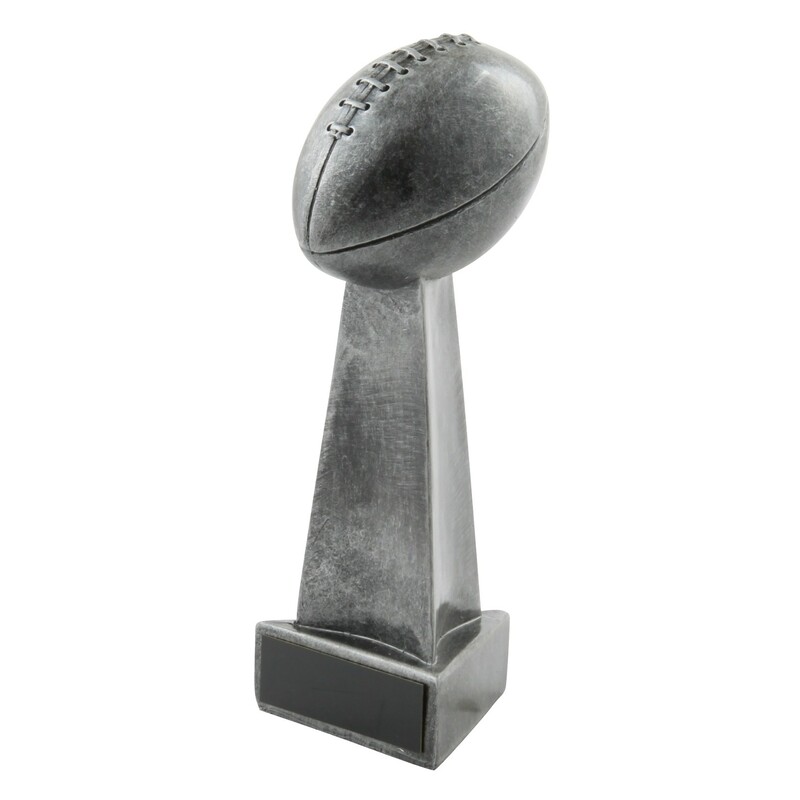 Made of solid resin at 8" tall this "small" replica trophy is sure to make a lasting statement! Make sure to add 3 lines of personalized engraving, it's included for free! This product is currently out of stock until July 2019.